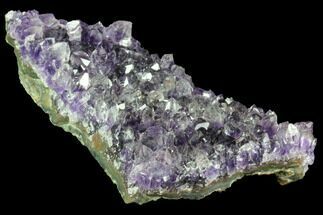 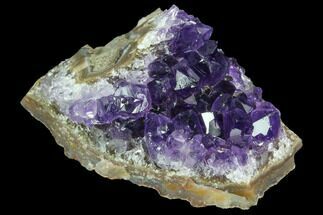 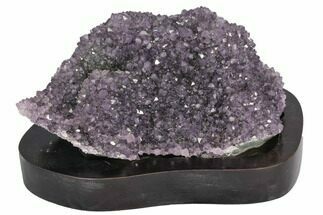 This is a gorgeous, dark purple amethyst crystal cluster from the famous mines near Artigas, Uruguay. 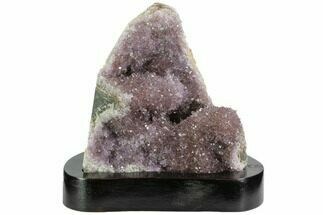 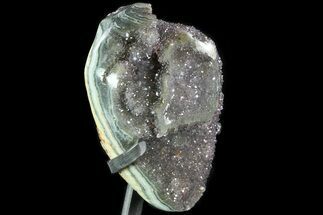 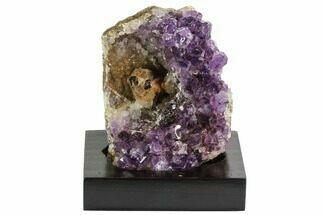 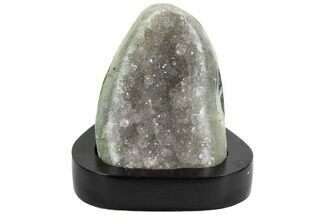 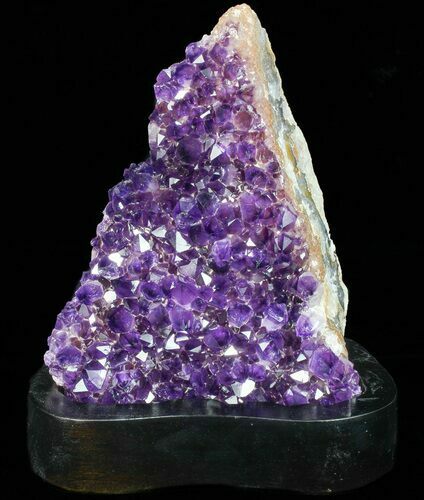 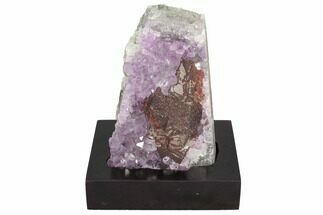 It is 6.3" tall (not including base) and features a lot of shimmering deep purple amethyst crystals. 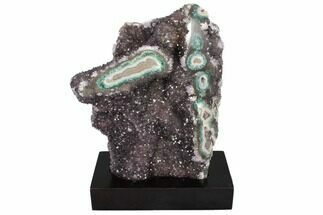 It comes with a removable wood base that it sits in for display.